“Dawn of the Planet of the Apes” topped the box office with a $73 million opening weekend. 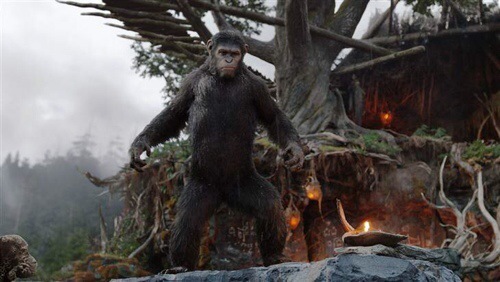 According to studio estimates Sunday, Fox’s “Planet of the Apes” sequel rode excellent reviews and high anticipation to one of the summer’s best debuts. It easily surpassed the $54.8 million opening to 2011’s “Rise of the Planet of the Apes,” the reboot of the 1970s chimp franchise. Yep. It said A LOT!!!!! Awesome movie! Full of predictive programming and conditioning America subconsciously and the world for what is to come! Much better than the first! My son wants to see it again! Yeah, the message was real..